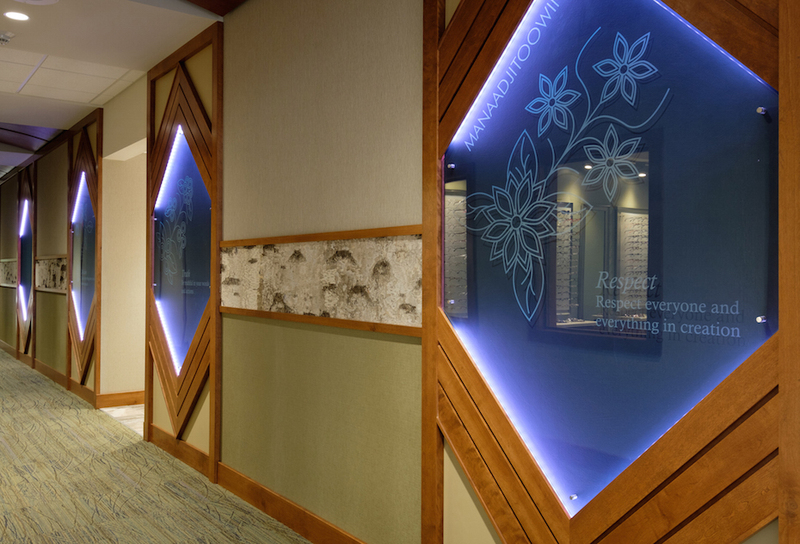 The Lac Vieux Desert Band of Lake Superior Chippewa Indians culminated years of planning to improve healthcare for its historically underserved community in the Upper Peninsula of Michigan through the construction of the Lac Vieux Desert Health Center. 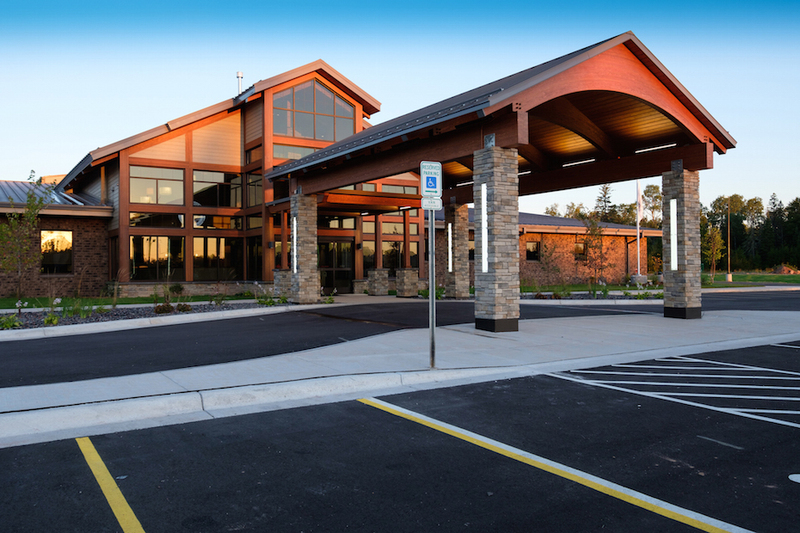 The new, 33,000-square-foot center, representing the cutting edge of medical care in the U.P., was designed to provide a full spectrum of healthcare services at a single location. 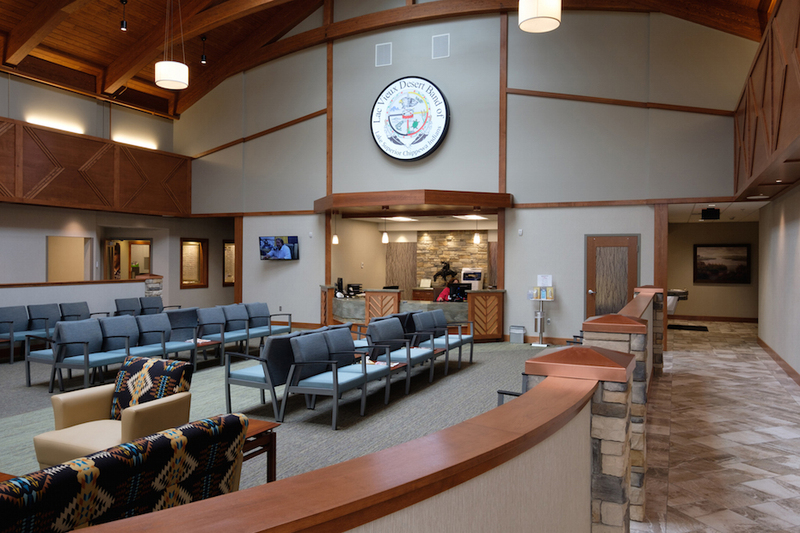 These included primary medical care, dental services, chiropractic care, optical services, podiatry care, behavioral health, physical therapy areas, imaging services, a pharmacy, laboratory services and nutrition classes, among others. 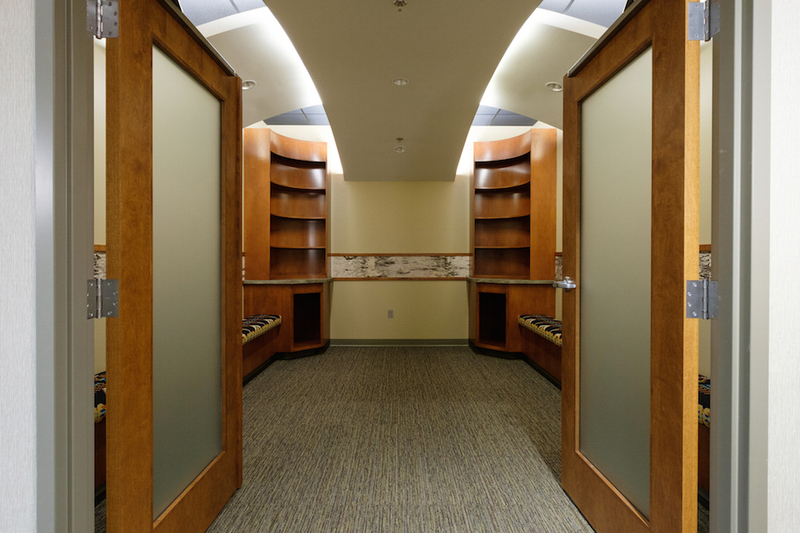 Unique aspects of this project included a detailed, decorative-tile installation and a sophisticated ceiling system. Mavid Construction had 12 installers on site for around seven months to complete our scope of work. 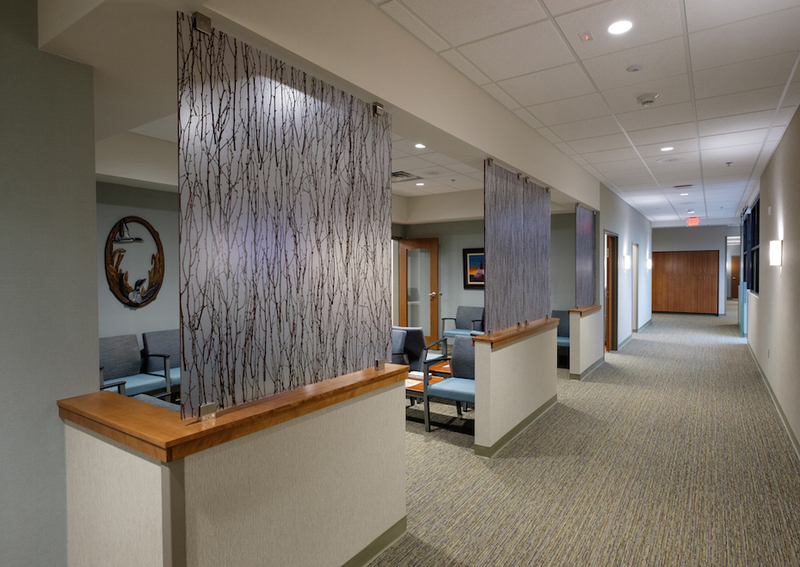 Along with specaility tile installation, a special wall covering made of birch bark was purchased to be installed. 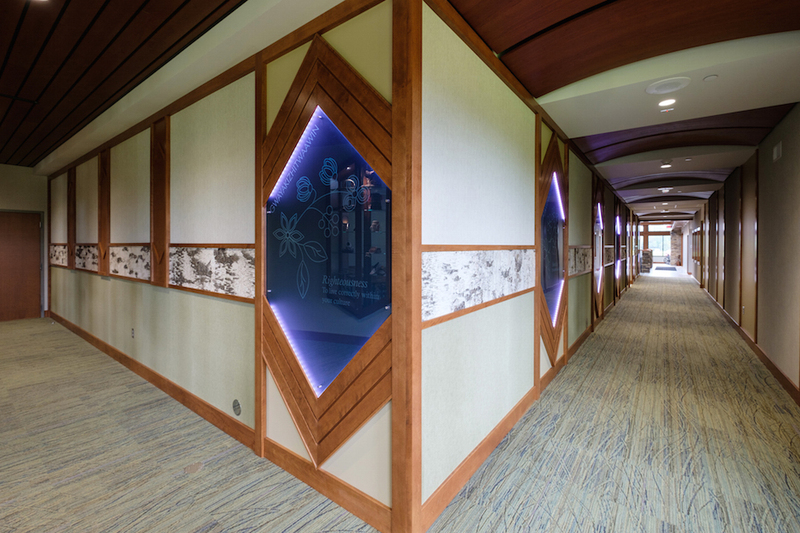 This material was requested for use because the building owners wanted to include traditional building materials to call out the culture of the local tribe and building theme. 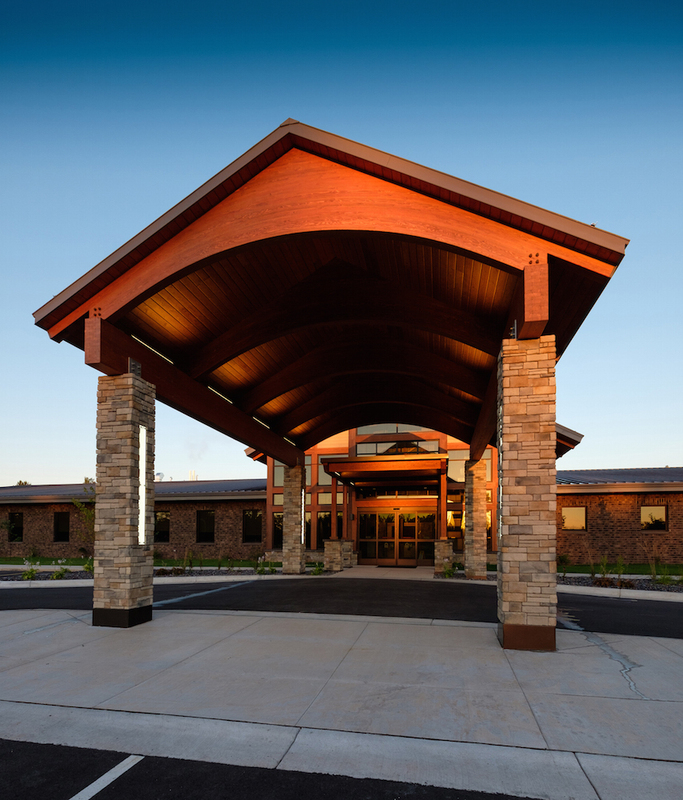 An additional challenge was posed by the health center’s northern location. With volatile winter weather at hand during the earliest parts of the project, a high level of attention was paid to schedule and managing material orders. 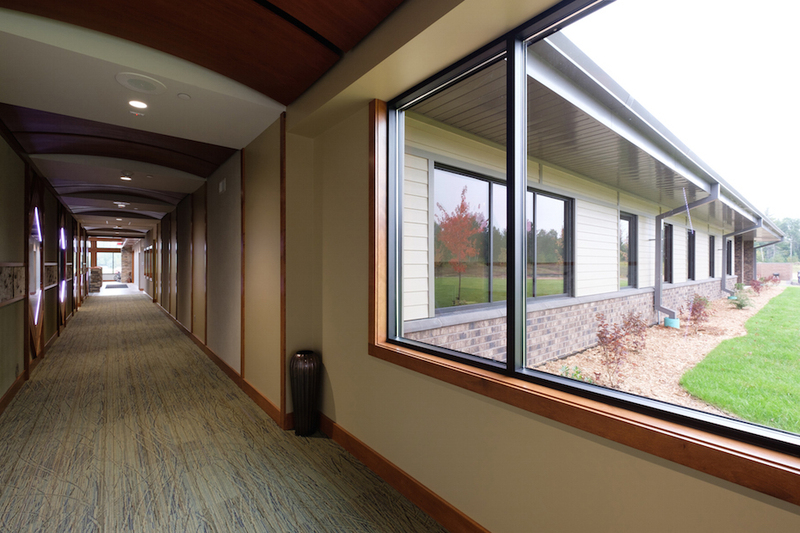 The new health center featured a strong commitment to sustainability through the use of energy-efficient window systems, the installation of energy-efficient wall systems and low-emission materials, and the use of locally sourced natural materials. The client placed special emphasis on the utilization and training of the local labor force. 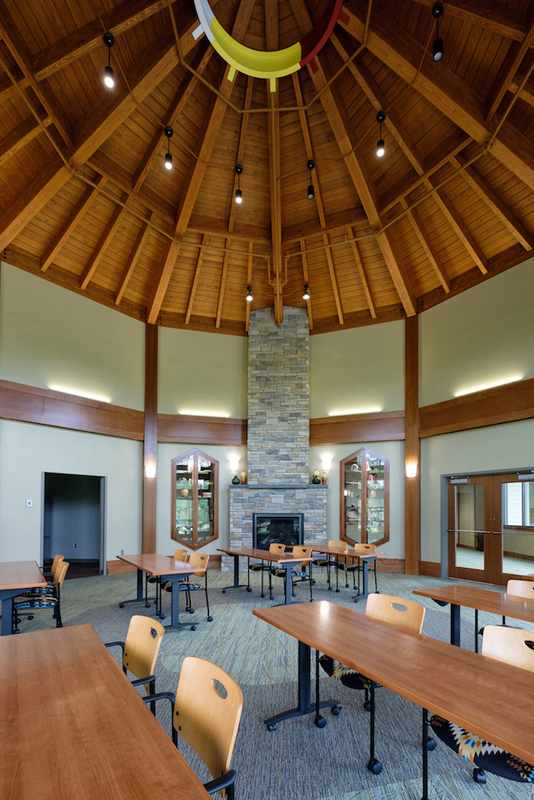 Mavid Construction worked extensively with the tribal employment office to recruit, train and utilize tribal and local labor, cultivating a culture of inclusion and sharing of skills on the job site. Mavid Construction exceeded goals set forth by the train and ultimately retained three local hires from the project. 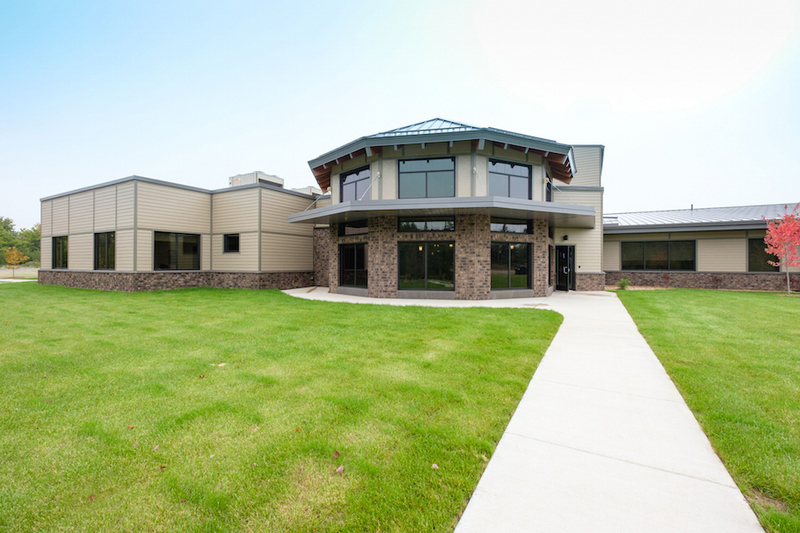 Along with tribal members, Lac Vieux Desert Health Center provides medical services to the general public in the area.